The next Project Diva game has been confirmed! SEGA feat. 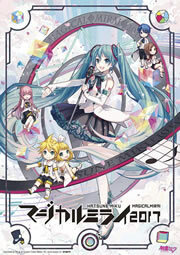 Hatsune Miku Project will be collaborating with Piapro in gathering fans’ illustrations for the next Hatsune Miku Project game title. The announcement has been made via live stream Hatsune Miku! Nico Nico Live 2nd today on Nicovideo. The collaboration will feature 200 winning illustrations, with 100 illustrations each for end credits in two sections. The time for submissions is set on August 10th at 17:00 JST~September 11th at 17:00 JST. Further details and instructions will follow shortly on August 10th. UPDATED: The collaboration consists of end credits illustrations only.